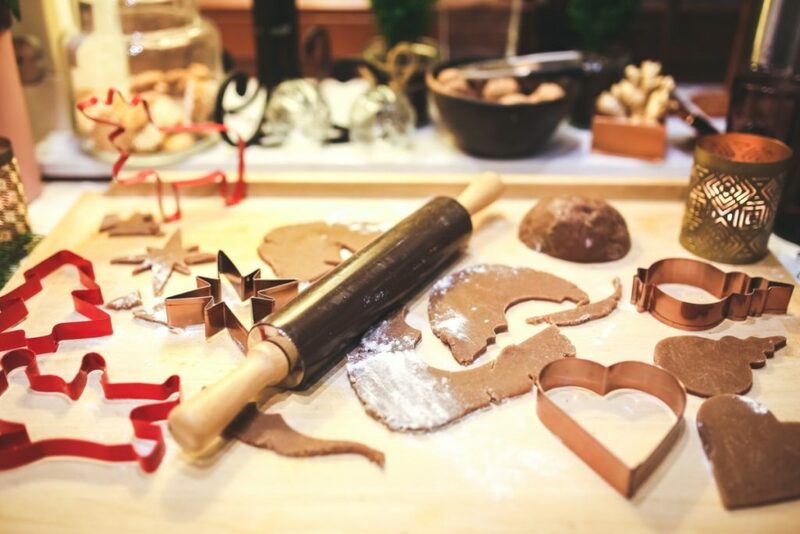 The start of December sees a flurry of activity in many households, especially if you are hosting a large Christmas gathering, with some planning and forethought and by following our tips for calming Christmas kitchen chaos, you can create the Christmas you envisage. Although food is a central part of the day, it’s the memories you create enjoying time spent with family and friends that will be reminisced about in years to come. Not whether you created the perfect gravy. A clear to do list will mean you can plan ahead including delegating tasks so it doesn’t feel like you’ve got such a big mountain to climb. You can even involve your children, they can showcase their baking skills by making some mince pies or Christmas biscuits. This will also give you some bonding time with them and a chance to create some family traditions. Whilst creating your to-do list, spend time planning your menus not just for Christmas dinner but for the other days during the festive season too. Then you can write a clear shopping list to avoid any last minute trips to the shops. Writing a day by day list for the week leading up to Christmas can also help keep your plans on track. Why not take a leaf out of a celebrity chef’s book and write a clear time plan for the day itself? This way there’s no risk of forgetting to put the roast potatoes in the oven! It’s amazing how much calmer you will feel once everything is written down. It’s so tempting to over buy at this time of year! But you can avoid overspending, and ultimately food waste, by adhering closely to your list or even do some of your shopping online so you are not distracted by all the offers. Ensure your dining table is large enough to seat everyone comfortably as there’s nothing worse than bashing elbows as you tuck into your turkey. If it’s not big enough now’s the time to dig out that spare trestle table or borrow one from friends or family. Don’t forget chairs, locate any spare ones or if necessary ask guests to bring extra. Check that you have all the equipment you need, including oven and freezer space. Have you got enough cutlery, crockery and serving dishes to avoid your guests being served from saucepans? This would certainly ruin the effect of your carefully planned table display! You could invest in some time saving/stress reducing items too, such as the hostess trolley. As kitsch as it, a trolley is worth it’s weight in gold as it will mean all your hard work stays warm until you’re ready to serve. If you are catering for a large number of guests, have extra bowls of potatoes and vegetables that you can place in different sections of the table to avoid food having to be passed round. Then everyone can serve themselves, whilst ensuring the food doesn’t run out. It’s important to keep your kitchen as tidy as possible. Remove unnecessary items from your worktops to provide more food preparation space and clear areas to put prepared dishes on. Now you are feeling more organised, you can focus on what Christmas is really about, family.